Asia Satellite Telecommunications Company Limited (AsiaSat) and Globecast have reached an agreement to deliver “RTR — Planeta Asia” to viewers via AsiaSat 5. The deal continues expanding the exposure of Russian language programming available in the APAC region. Russian television channel RTR-Planeta strengthens its reach across Asia through a new partnership with Globecast for content management services and AsiaSat for Asia’s most popular international satellite TV platform. An international service owned by the Russian state television and radio broadcaster RTR-Planeta Asia provides cultural and prime time news, sports, movies and documentary films. 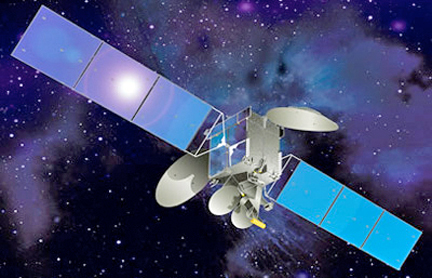 AsiaSat is gathering momentum in further expanding their Russian TV neighborhood, serving Russian-speaking viewers residing across the APAC region. Globecast is providing RTR-Planeta with complete distribution services to the channel via this deal, including across Asia-Pacific, Europe and North America, building upon Globecast and RTR’s longstanding relationship, which started in 2003. Vladimir Zhdanov, Senior Legal Advisor Media at RTR-Planeta stated that with the sheer volume of programming his company offers, technology partners are needed who are able to deliver faultless services — there is no better choice for this project than Globecast and AsiaSat. Through this partnership with them, the company can now deliver content further across Asia without hassle or worry. Biliana Pumpalovic, General Director at Globecast in Russia, added that his company has a very well established relationship with AsiaSat and this deal is another example of the benefits to broadcasters that this brings. Globecast also has significant reach across the Russian market, working with a variety of channels.